Admiralty Vector Chart Service offers the widest official coverage of many of the world’s busiest shipping routes including waters of the Philippines, Thailand, Hong Kong, Indonesia, Malaysia and, significantly, the Malacca Strait. Admiralty Vector Chart Service includes 2.950 of the top ports worldwide, with unique coverage for over 250. This means that you can sail on ECDIS for the entirety of most major routes. 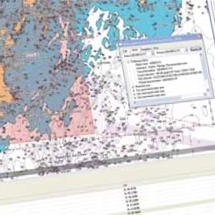 Admiralty Vector Chart Service is compatible with all type-approved makes of Electronic Chart Display and Information Systems (ECDIS).